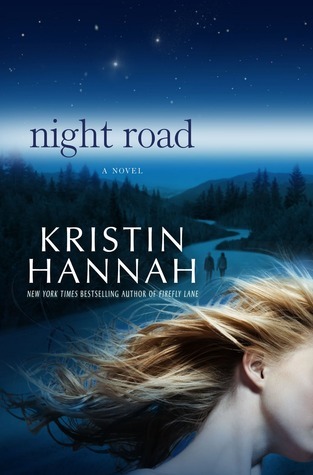 ENTER TO WIN A COPY OF NIGHT ROAD BY KRISTIN HANNAH! THIS GIVEAWAY IS NOW CLOSED. ALL WHO ENTERED ARE WINNERS, IN FACT MOST OF YOU HAVE PROBABLY ALREADY RECEIVED YOUR BOOK! BE SURE TO GET BACK TO US AND LET US KNOW WHAT YOU THINK OF NIGHT ROAD! We would love you to read along with us and in order to encourage you to do so, we are giving away 6 copies of this month’s book Night Road! To enter just tell us your home city and state and what book you are recommending these days. It is that easy! Winners will be notified by email. Our book club in Aurora, IL just finished reading Finding Nouf: A Novel. We enjoyed the book and learned a great deal about the culture. Hi Janet! I too enjoyed reading Finding Nouf and learning about life in Saudi Arabia..The fact that the author Zoe Ferraris married a Saudi man and lived there for close to a year made it that much more interesting. Thanks for entering our giveaway! Our book club in Knoxville, Tennessee read “Please Look after Mom” by Kyung-Sook Shin last month a wonderful reminder of our mothers who do so much for us and needs to be loved and recognized while they are still with us. Next month we will discuss “In the Face of Evil” by Tema N. Merback a recounted story about her mother’s life lived through the Holocaust. Hi Julienne, I am not familiar with either of these books, but will check them out!Thank you for entering our giveaway! Yes, already recieved my copy and will start on it after New Year’s am having company this weekend. Thank You! I finished Glass Castle by Jeanette Walls. She has amazing strength to have survived her childhood. I then read Half Broke Horse and understand where she got her courage and strength. Very good books. Hi Sue, The Glass Castle is a Friday Morning Bookclub favorite! I still have not read Half Broke Horses, but will definitely get to it one of these days! Our bookclub is presently reading The Dovekeepers. A story of sacrifice, endurance and survival. Hi Sharon, I have heard so much about The Dovekeepers. I will definitely put it on my to read list. Thank you for entering our giveaway as well as for your book recommendation! Hi Helen, Doc sounds fascinating. Do you think it would be a good book for our couples meeting when our husbands also read the book and join in our discussion? Thanks for entering our giveaway and blogging with us! I’m SURE the husbands would love it also! My daughter recommended looking into Netflix to find Tombstone and a few other movies that depict various aspects from the book. Forgot to mention that I’m from Lakewood, CA! I just wanted to give everyone a warning, when you start reading Night Road have a box of Kleenex nearby!!! I’m giving it a 4 kleenex rating. Hi Judie, Thanks for your recommendation. I will definitely check out The Hare with Amber Eyes. Thanks for entering our giveaway. You are a winner as are all of the others that have entered! Be sure to get back to us and let us know what you think of the book. I recently finished Veil of Roses by Laura Fitzgerald. Tamila, an Iranian young woman was sent to America by her parents to live her dream, of freedom and independance. But she only had a three month visa. …In Iran womanen are bound to ancient laws, quite the opposite in America. Tami learns quite a lot about freedom and choices in this wonderful book. It was a most enjoyable read! Hi MJ. It is your lucky day! This giveaway is closed, however I have one more book…just for you! Thanks for your recommendation. Veil of Roses sounds like my kind of book!